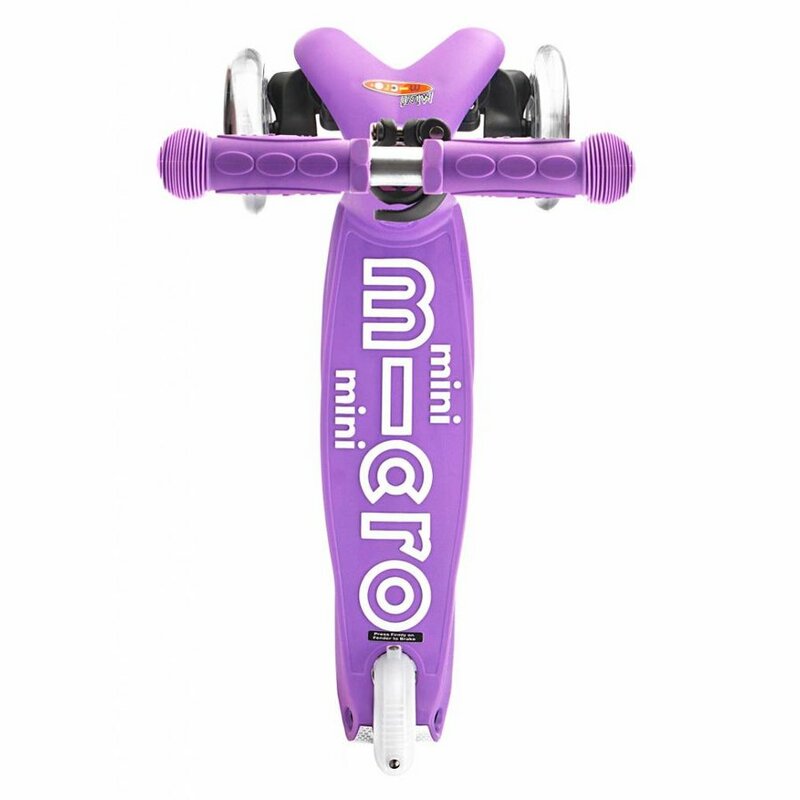 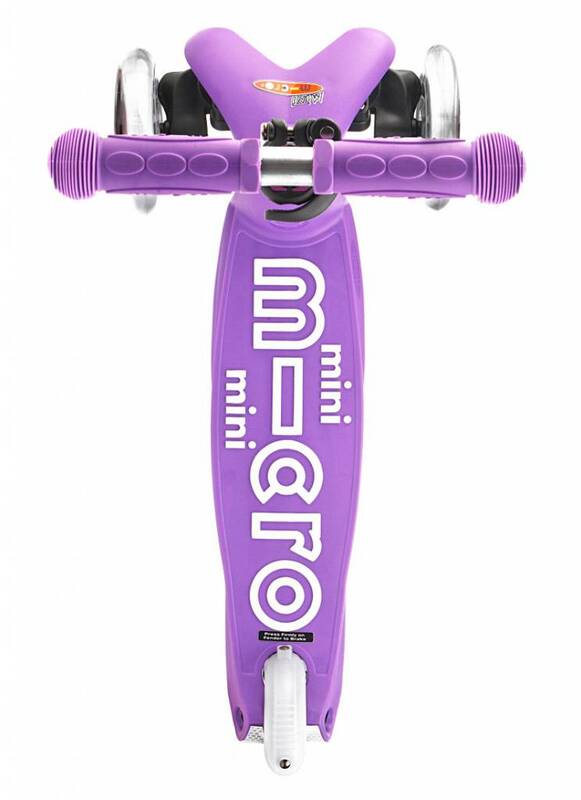 The Mini Micro Deluxe comes with an adjustable steering bar and an anodized T-bar in the colour of the deck. 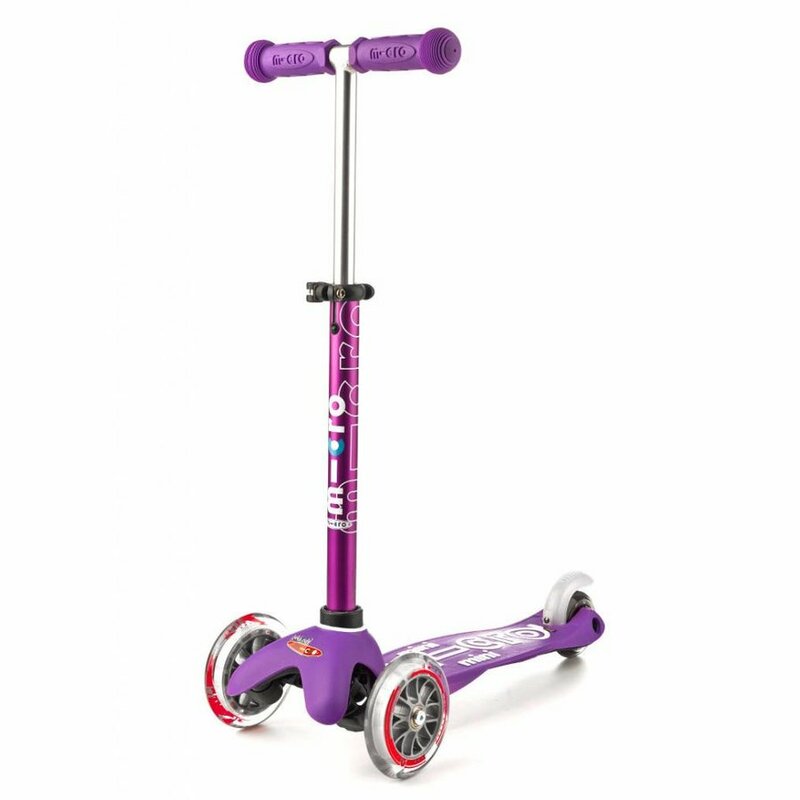 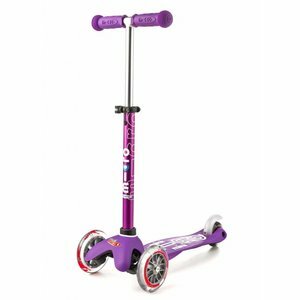 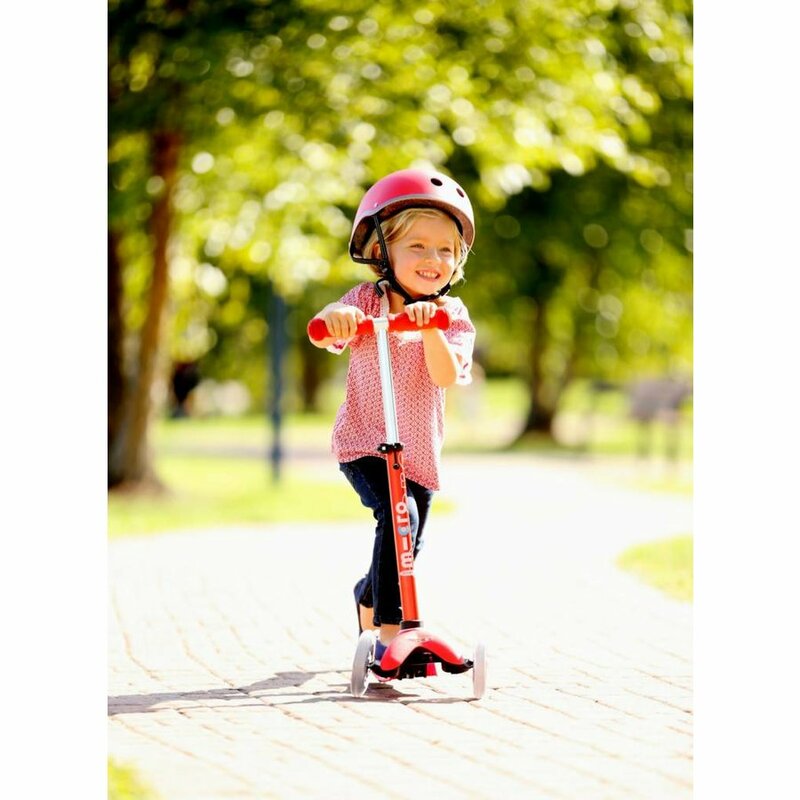 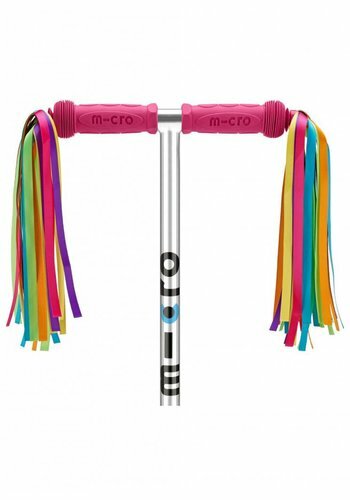 Available in 8 exciting colour combinations!The Mini Micro scooter is the quality scooter for young children, there is no other like it. 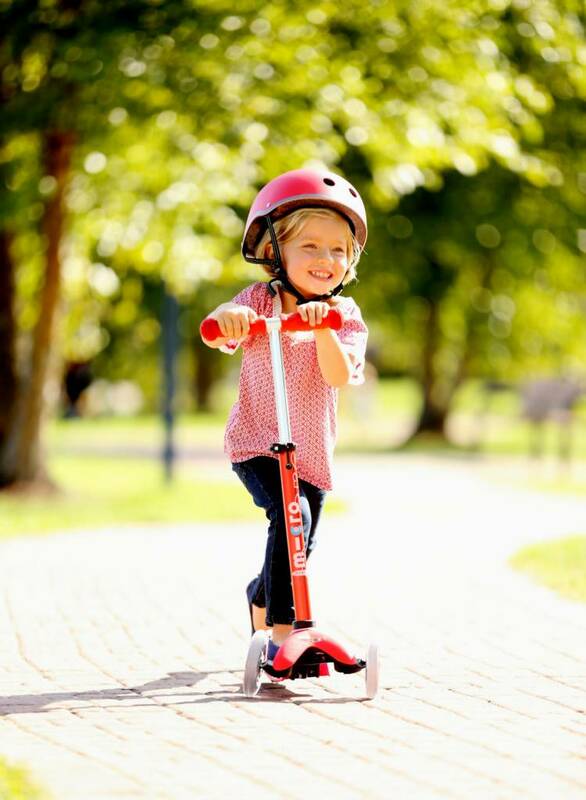 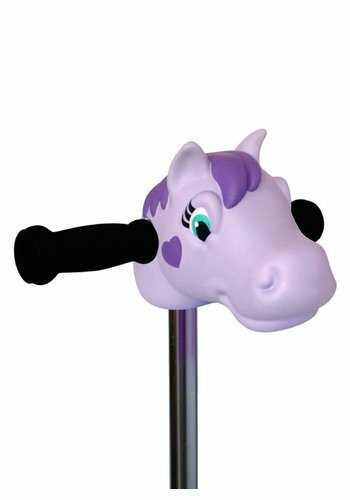 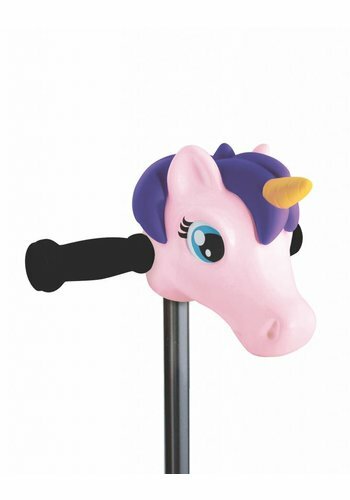 Its unique 'lean-and-steer' design, developped with Swiss medical experts, allows children to use their body weight to control the steering. 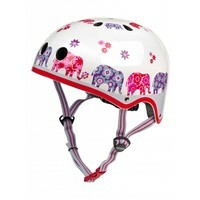 It is very safe and stable. 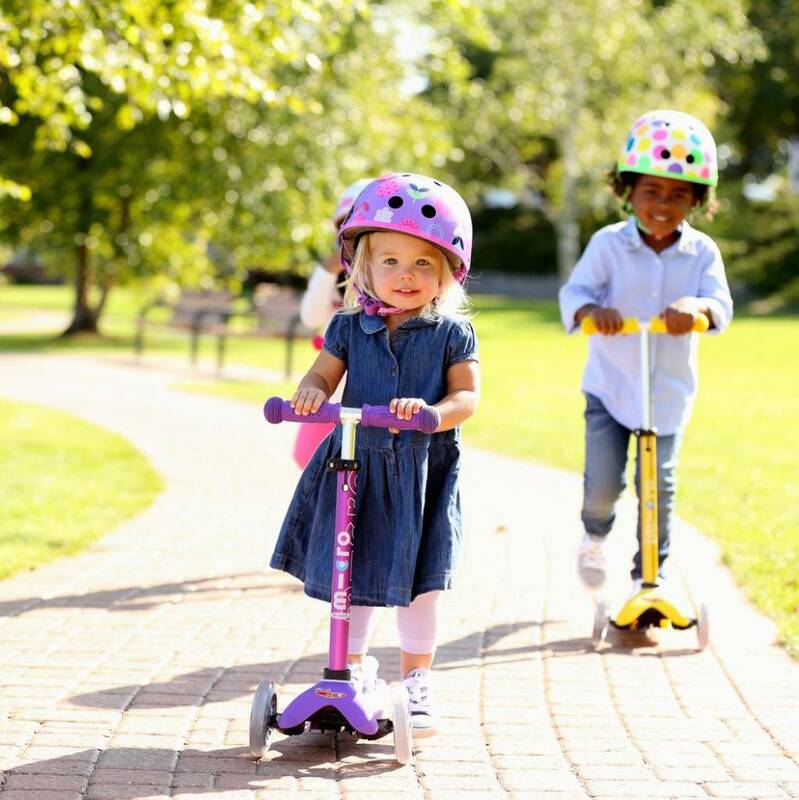 Kids get the feeling of 'surfing' the sidewalk as they curve from right to left, adding an element of fun and independence that young children love. 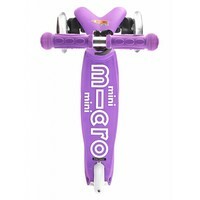 The Mini Micro scooter is lightweight (only 1.9kg), so it's easy to pick up and carry when need be. 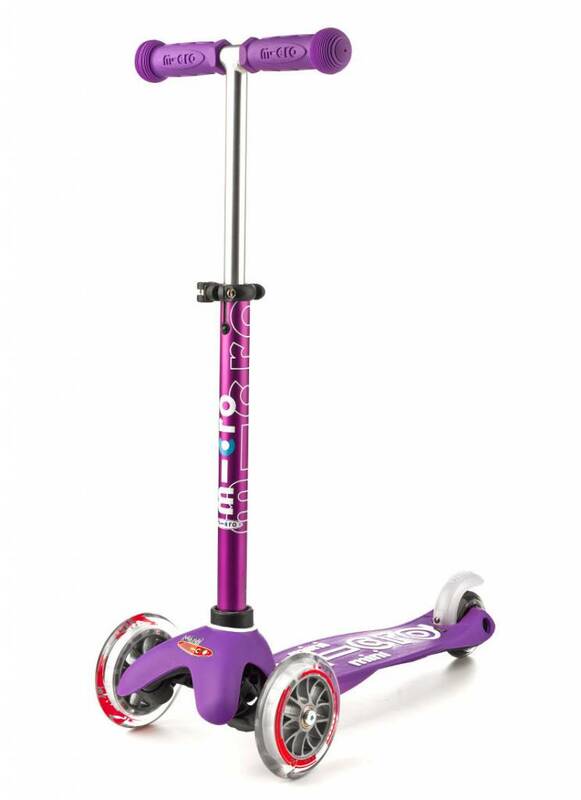 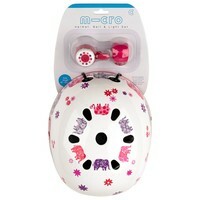 Non marking wheels make it also suitable for indoor use., Winner of many international awards!